PORTLAND, Ore. (KOIN) -- Portlander Andy Mesa is attempting to eat every single slice of pizza during Portland Pizza Week. There are 45 slices on the list, and Mesa has 5 days to accomplish his goal. That's 9 slices a day. 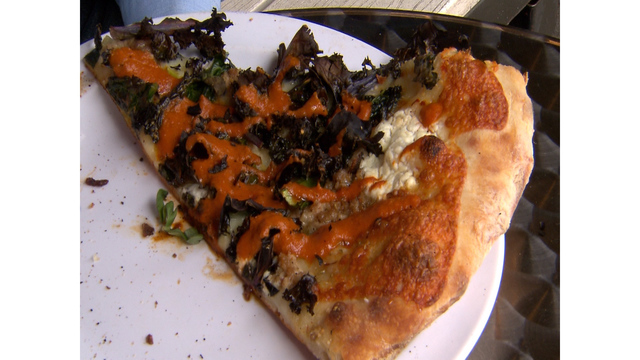 Portland Pizza Week runs through Saturday at different restaurants around town. Slices are $2. "I don't eat anything else. So, that's part of it, like I basically just eat pizza for the entire week," he says. Mesa has challenged himself for the last four years, and then writes about his experiences on Reddit. "I don't know anyone else that has done it. I haven't seen anyone else that has done it," he says. He's a pizza fan year round, but Pizza Week is a fun opportunity to get out a try new places and slices. "There are a lot of places I only see during Pizza Week. And it's nice to go to that place and visit, because it's all over town, and I don't always go to all those places all the time," he says.